We use punches a lot! 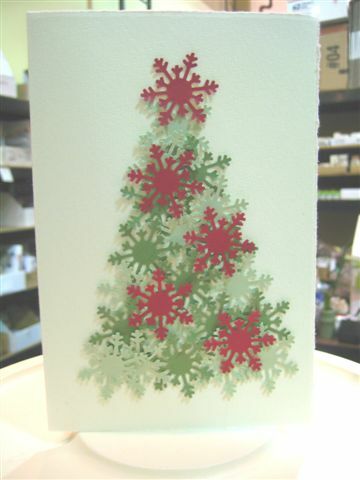 Here's a new snowflake punch that we used and glued into a tree shape. We had to share this idea, even though we didn't stamp on the card.